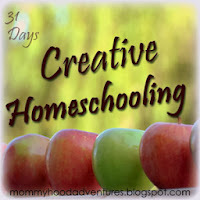 I’ve been pondering this week about how much our homeschool has changed over the years. When I had only younger kids school was almost completely delight directed. We spent our days exploring the world in all we did. I turned everything into a math or science lesson and being intentional in our day was really not a problem. We did unit studies and lapbooks all the time because it was easy to incorporate the basics into whatever subject we were studying. 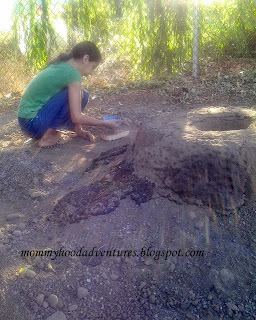 Making a large volcano outside. of the mountain because it was crumbling. This new season is a bit different. The older kids are past counting seeds in fruit and studying the life-cycle of bugs we discover. While I am still very intentional in making sure I take every learning opportunity that presents itself those opportunities look very different today than they did just a few years ago. Little G is still at the age of unit studies and lapbooks of pumpkins and apples. While I can still have a day full of spontaneous learning with her, the older ones take more effort. Being intentional and showing the kids that every day learning opportunities abound, you just have to pay attention. I also have to be willing to go the extra mile and let them do crazy projects and And in order to make sure we get all of our subjects in, I have to convince them that they want to delight in grammar and algebra.